Blasts from the Past: March 8, 2018 | The Gettysburgian. This week in 1928, there was a list published of new books in the library. Many of the books were for reference, including a variety of chemistry and physics books. There were books like Pennsylvania History told by its Contemporaries by A.E. Martin, Connecticut Yankee in King Arthur’s Court by Mark Twain, and many more. Now, you may be wondering, can I still take out these books? Yes, most of these books can still be found in the library. This week in 1948, the junior class met in Brua chapel to discuss new diplomas. Their class would be the first one to have them. This had been in the works for a year at that point, with the senior class called for a resolution. The new diploma would be a blue leather case with the Gettysburg College written in gold lettering on the front and the inside would have the diploma and a “photostatic” copy of the student’s transcript on blue and orange felt. The old diploma type was a scroll and many graduates complained that the diplomas easily tore this way. This week in 1953, off-campus house parties for Spring House Party Weekend were approved during a faculty meeting. The students were happy that they could party during that weekend. The Social Functions Committee asked for off-campus parties because there was no good floor space for dancing. However, the students understood that they could not serve alcohol at these parties. 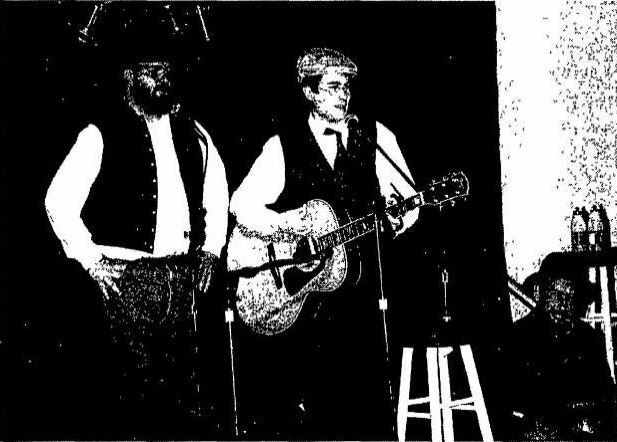 This week in 1998, The Gettysburgian reported about the up and coming band on campus, the Warrior Poets. The band, consisting of Paul Hutchinson, Jay Spiese, and (now a professor) Ian Isherwood, was only a few months old at this point, but many students and staff loved their Irish-American folk song inspired music. They all wanted to create the band to show the uniqueness in Irish-American music and they began playing together. They started to play at one of the pubs in town, Buckley’s, and slowly they gained notoriety. Most people loved the arrangements that they made and many people danced to it. There were even rumors that professors would jig! The Warrior Poets were excited for their coming performances for Saint Patrick’s Day.